Currently viewing the tag: "Buy-To-Let"
Have You Ever Wondered Why Some People Make Money From Property Whilst Others Fail? You COULD pay thousands of pounds to attend a property investment seminar, but you’d still NEVER learn the basics as thoroughly as this report provides! It’s like having a multimillionaire expert investor explain his entire strategy to you over lunch (without worrying about the bill)! 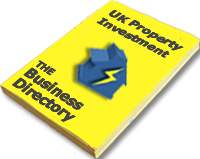 Because this unedited and uncensored document explains how you can cash in on the Buy-To-Let Property Boom right now, even if you’ve never bought a property… or never thought you could! It’s the kind of straight-to-the-point explanation EVERY beginner wants and searches for, but is (deliberately) difficult to find! Even if they have poor credit, debt, or very little spare time. A step-by-step guide explaining the “WHY” & the “HOW” of this fundamental investment model − Understand the strategy & the principals behind it! Since UK pensioners were granted full control of their retirement savings in April 2015, an estimated 60,000 (70%) pensioners have taken advantage of their ability to take some or all of their accumulated pension in a lump sum, with many opting to put their cash into property instead as an alternative to annuities, shares and bonds. 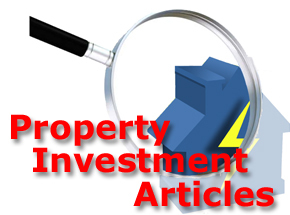 According to the latest Global Real Estate Outlook report published by property investment company IP Global, property remains a far more predictable and stable longer term option compared to alternative investments in the stock market. In the UK, property prices in London and Manchester are leading the way, with prices in Greater London increasing by 12% in the last year alone. New properties in Manchester may appear to be valued at less than half the average of London properties, however, residential property prices are expected to continue rising to close this gap, with new projections putting Manchester’s property price growth at a staggering 26.4% by 2019. The Residential Landlords Association (RLA) have hit back at politicians and housing and homeless pressure groups who are openly calling for rent controls in the UK’s private sector by claiming that private sector rents are falling in real terms following analysis of the official English Housing Survey (EHS). The English Housing Survey (EHS) results are taken from a continuous survey conducted by the Department of Communities and Local Government (CLG) and show that average private sector rents increased by just £10 from £153 to £163 (GBP) per week in 2014, representing a rise of 6.5%. In contrast, average weekly rents in the UK’s social sector increased by more, with weekly rental prices increasing 25.4%, rising by £18 from £71 to £89 (GBP).